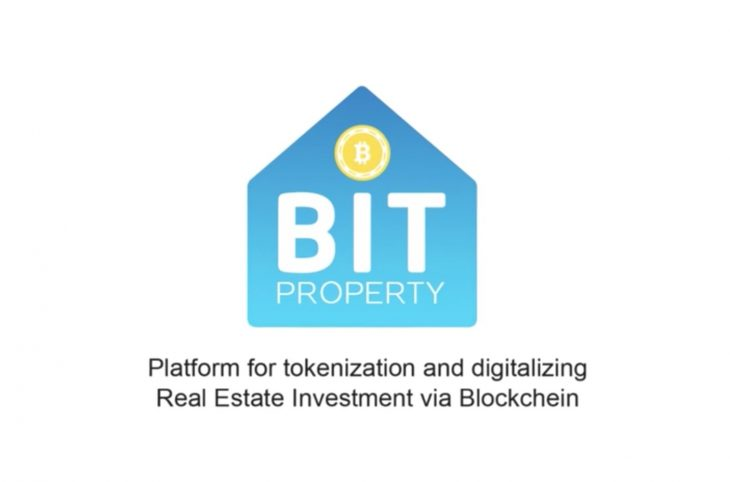 BitProperty is an ecosystem that fully covers the cycle of investing in commercial and residential real estate in the early stages of construction, by tokenization and digitalization. It helps investors to participate in investments from $ 1000 and receive up to 150% per annum, and developers can quickly and easily find investors. Professionalism. We have accumulated a wealth of experience in investing in real estate at an early stage of construction. One BPS token is equal to 1/80 000 000 part of the BitProperty platform. 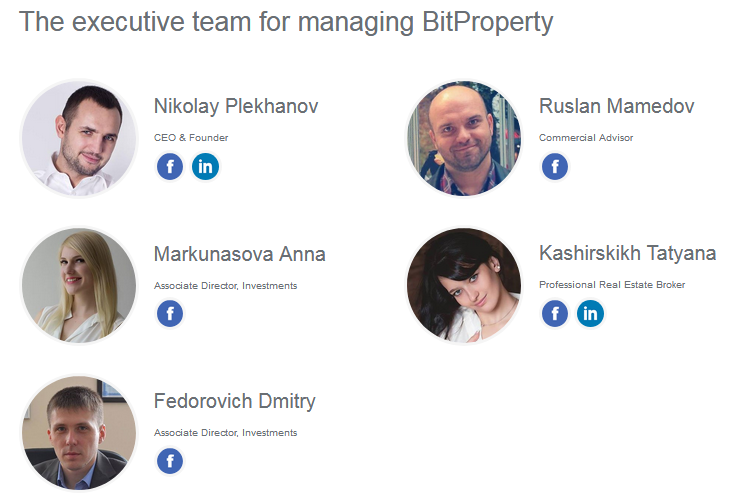 Now the cost of the BitProperty platform is minimal, but already in 2019, due to the increase in the number of commissions for transactions, we will generate revenues of more than $ 500,000 per year, and the expected growth of the platform can reach up to 4900%. In 2021, it is expected to reach the revenue targets, in the form of commissions for transactions, according to our plan of $ 23.695 million, which should increase the cost of the platform by 58,500%. The figures given above are preliminary and based on the calculations given by the competent team members and the comments of specialists. 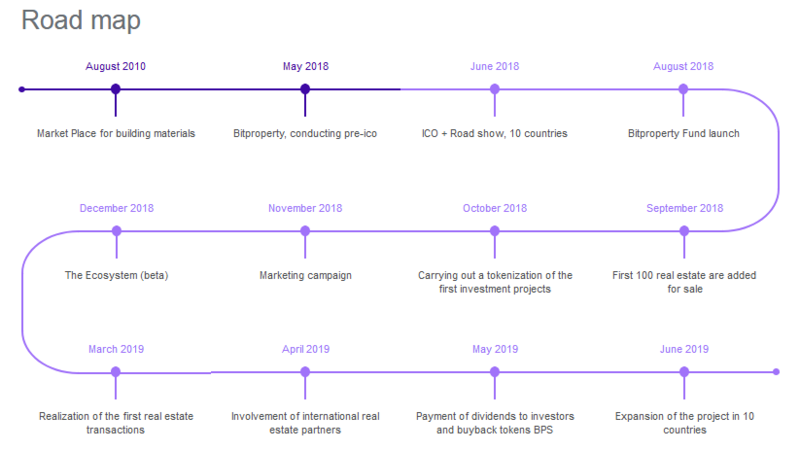 BITPROPERTY will Provide anyone with the opportunity to invest in real estate, both commercial and residential, at any stage of construction without geo-referencing. Our goal is to make this process as quick, transparent and safe as possible.